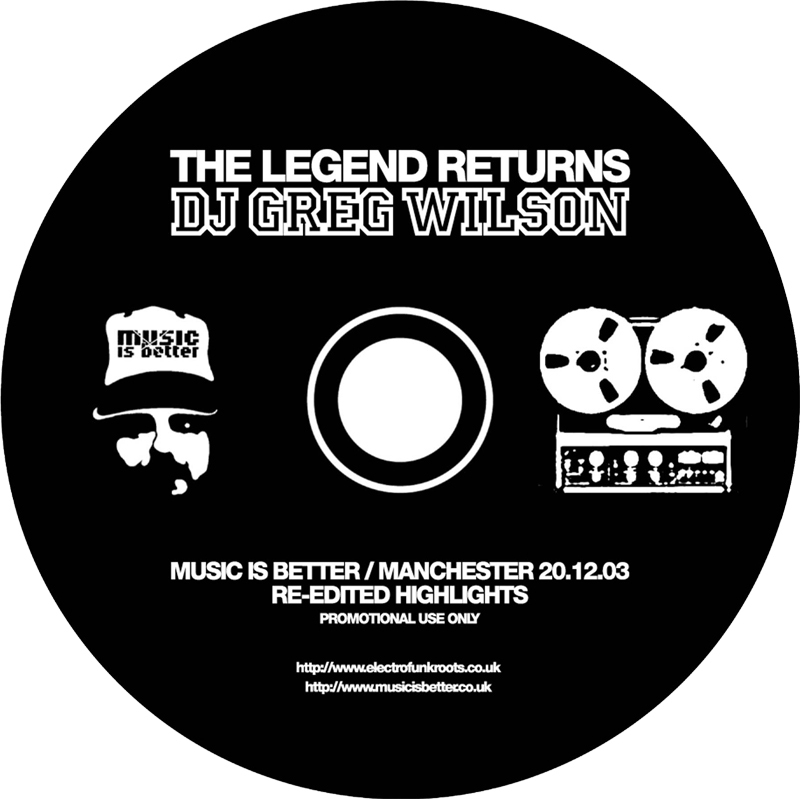 Just dug out a copy of the Music Is Better CD, a limited edition of 500 that followed my DJ comeback on December 20th 2003 at the Music Is Better night in The Attic, Manchester. It’s now been made available via SoundCloud. The CD was only ever available from Manchester’s Piccadilly Records, where Danny Webb, resident DJ and co-promoter of Music Is Better, then worked. It was Danny’s idea for me to put together a limited CD via the shop to mark the occasion. There’d been a lot of activity on various forums following the night and the feedback had been pretty overwhelming, prompting plenty of enquiries as to whether it had been recorded. I hadn’t even thought about the possibility of recording, but it occurred to me that I could re-create what I’d played that night, editing the individual tracks so that the total running time could be brought down to CD length (my actual spot having been an hour longer, at 2 hours 15 minutes). The CD is now something of a collectors item. It kicks off with Raw DMX ‘Do It To The Funk’, which would turn up almost 2 years later as one of the tracks on ‘Credit To The Edit’ – this was a mash-up of Raw Silk (‘Do It To The Music’) and the DMX Krew (‘Who Got The Funk?’), which I’d put together especially for Music Is Better. It was also a statement of intent, the juxtaposition of a track I was known for playing in Manchester back in ’82 with one that was released during the period I wasn’t a DJ, and had never played in a club before, announced my intention to draw from the past, but in a non-nostalgic way – celebrating the old, but giving it a new twist. The mix ends with Goody Goody ‘It Looks Like Love’, which was the ‘one more tune’ at the end of the night, generating much enquiry, with a number of people coming up to me whilst it played to ask what it was. It would later feature in my Essential Mix just over 5 years on, as one of the biggest tunes I’d played since my comeback. Given that my appearance had been announced by the promoters as ‘The Legend Returns’, I was a bit concerned as I drove to Manchester that night, thinking it all might turn out to be an anti-climatic non-event – more a case of the legend plays to an empty room. As I’ve said before, the weather conditions were horrendous that night and, as a consequence, there were only about 90 people in attendance, but they were the right people – the word really spread out from there and I’d organically pick up bookings throughout 2004/05, until the release of ‘Credit To The Edit’ took things to the next level. Richard Hardcastle (aka Solid State) was deejaying alongside me that night, and he got me to come and play his night, ‘Society’, in Sheffield, whilst Ralph Lawson, the long-running resident from Back To Basics, had come over from Leeds, and he invited me to play there. It was in this word of mouth manner that I picked up most of my bookings during this early stage of my DJ renaissance. Now it’s almost 8 years on and interesting to note that I’ve been a DJ this time around for almost as long as I was originally (1975-1984). That night at The Attic proved to be a pivotal moment in my career, my ‘Rip Van Winkle re-awakening’ as I described it at the time, and the ‘Re-Edited Highlights’ served to spread the vibes further afield. When I upgraded my SoundCloud account it was with the intention of adding selected mixes from the period 2003-2009, bringing everything under one roof by placing them alongside the ongoing additions that have been regularly made available since I uploaded the first of my SoundCloud mixes, recorded at Café Mambo in Ibiza exactly 2 years ago today. So it’s fitting that Music Is Better should mark the anniversary by kicking off this process, with further uploads to follow periodically. I’ve decided that, at least initially, these pre-2009 mixes will only be shared privately, by way of thanks to those who have helped swell my SoundCloud following to a figure not far off 15,000 people. It’s only right that there should be some exclusive content and this is an ideal way to share it with those who’ve added their support in those 2 years since I joined up. If you don’t already have a SoundCloud account you’ll need to open one in order to access this mix, and subsequent private downloads (it’s all pretty straightforward and free of charge) – you then need to click on ‘follow’ at the top of my page, and you’re sorted. Thanks for the story and the download Greg. Not many djs are lucky enough to pull off a comeback like that but I should say that WE are the real lucky ones. Your knowledge of music and passion for the groove are an asset to all of us. Playing along side you at the NYC Downlow this year at Glastonbury was a career highlight for me! Boogie on, buddy. Will just have to listen to the Horse & Groom mix again, never gets old. Hi Scott – as I mentioned in the post, you can only access it if you’re signed into SoundCloud, otherwise you’ll just get that ‘Oops, looks like we can’t find that page!’ message. Cheers for the quick reply Greg, I have tried it while signed in. Have tried logging out and logging back in, but still no joy, just greeted with the ‘Oops’ page. I must be doing something wrong, will just keep at it. Hi Scott – think it’s sorted now. I have to give those who are newly signed up access to the track, which I’ve now done, and then they’re notified by email. Can you let me know how you get on. Working now, cheers. Very much appreciated. Hope to see you in Aberdeen again some time soon. Not happnin’ here. Logged in, followed you, nothing. Logged out, and back in. Nothing. Hi Mark – what I have to do is add new people to those who have access enabled. This has to be done manually, so I’ve been checking in for this reason every few hours. Once I’ve done this, email notification is sent to the accounts of those who’ve just been added. Sorry about the wait. Thanks for the add. Just listening now, awesome stuff. 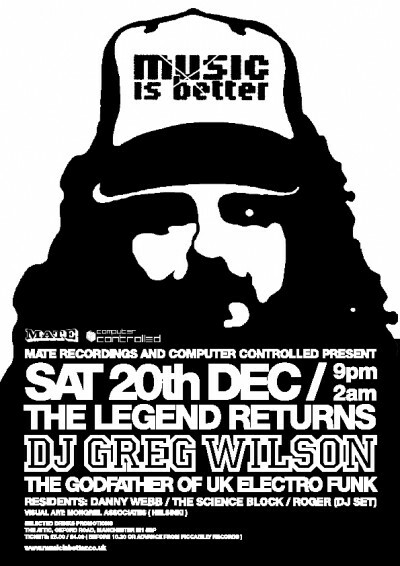 Massively important night for the nascent ‘Disco’ scene (as we called it later! ), never to be forgotten by all of us lucky enough to be in attendance, and the cd was such a great souvenir. Just one footnote to add about the legacy it left. In 2009 when I came to release a GW 12” we agreed that due to our ‘Music Is Better’ connection, it had to be tracks that were debuted that night and settled on ‘The Magnificent’ and ‘Down The Mainline’, both of which feature on the cd mix. 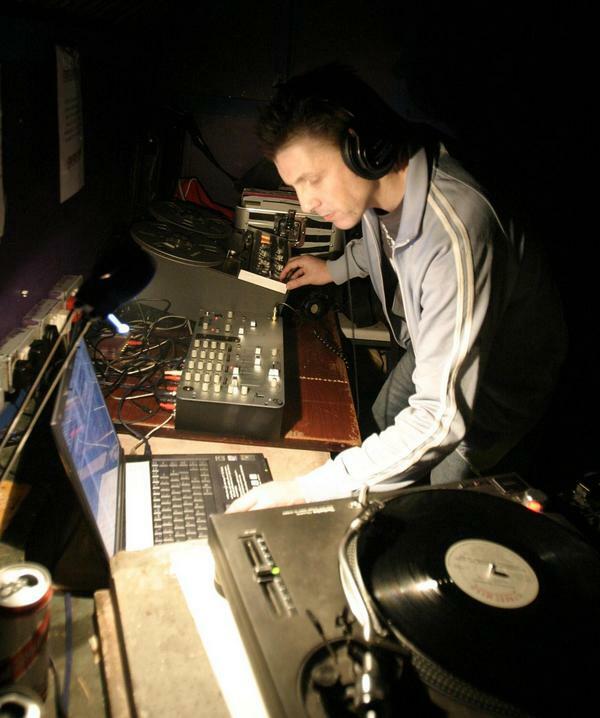 Hi Richard – thanks for your input, both on the night and at subsequent gigs in Sheffield, and then later with the MiB 12″. Brilliant stuff, loved reading about your ‘moment of clarity’. Brilliant knowledge and great for sharing it all. Am enjoying your blogs and loving discovering some fantastic stuff on your various mixes. I’m having the same problem as some of the other posters – in that I cant access some of your Soundcloud content. I’ve logged in and clicked on the follow button – if you could do whatever to open up the access that would be fantastic. Keep it coming! – I’m loving this musical education! Hope everyone’s now managed to access the mix at SoundCloud. If you’re a new ‘follower’ I need to enable access to the stuff in the Exclusive Content section, so it’s a case of going into the settings once a week and pressing the buttons that sends out the notification emails to those who’ve just started following my account. So, sorry about the delay, hope you all got sorted in the end.